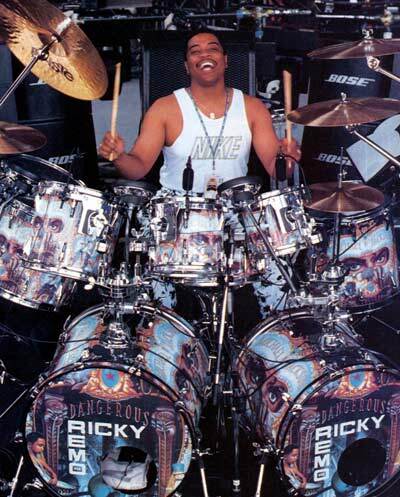 Ricky during a clinic with Lenny Castro. 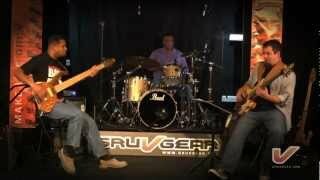 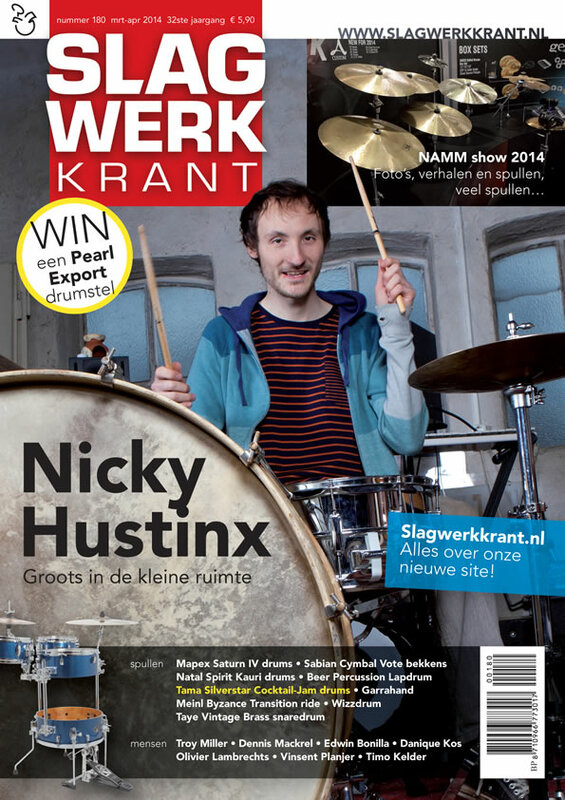 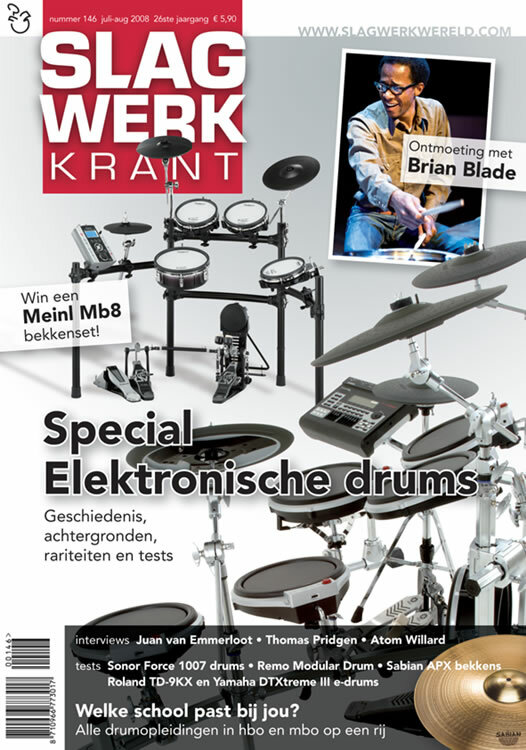 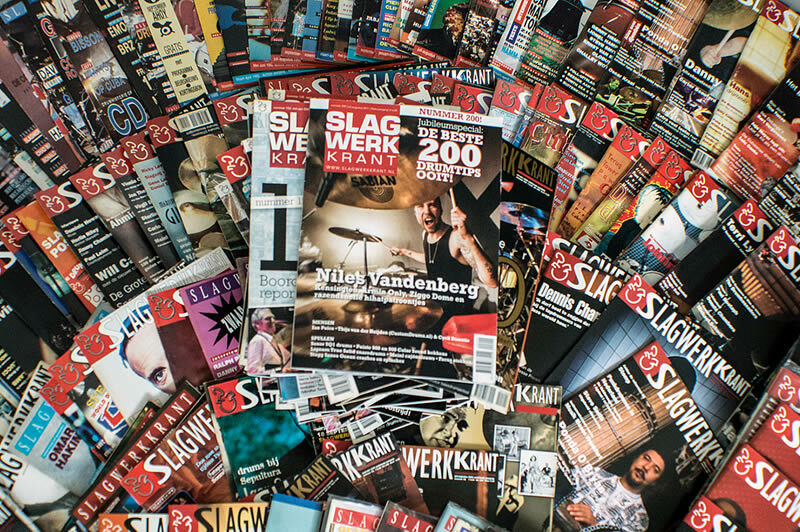 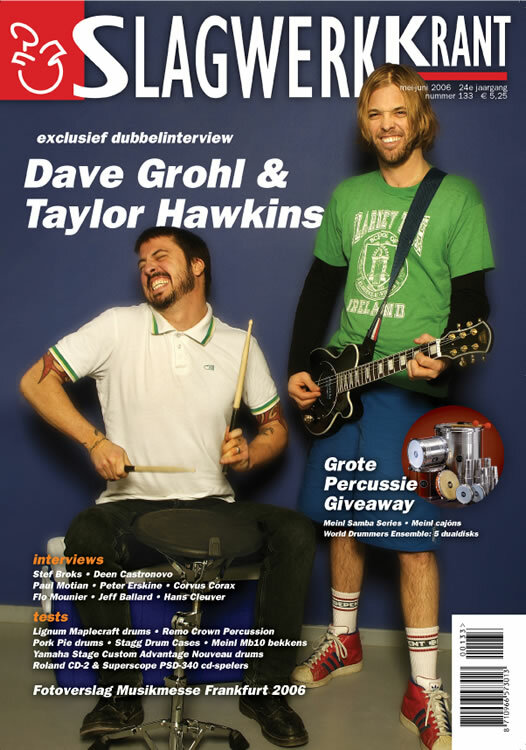 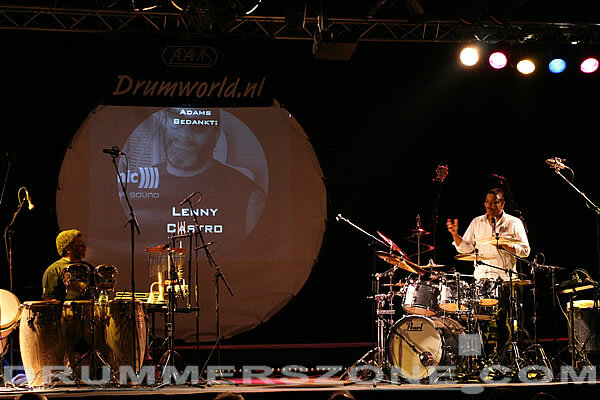 Location: Adams Drumworld in Ittervoort, The Netherlands. 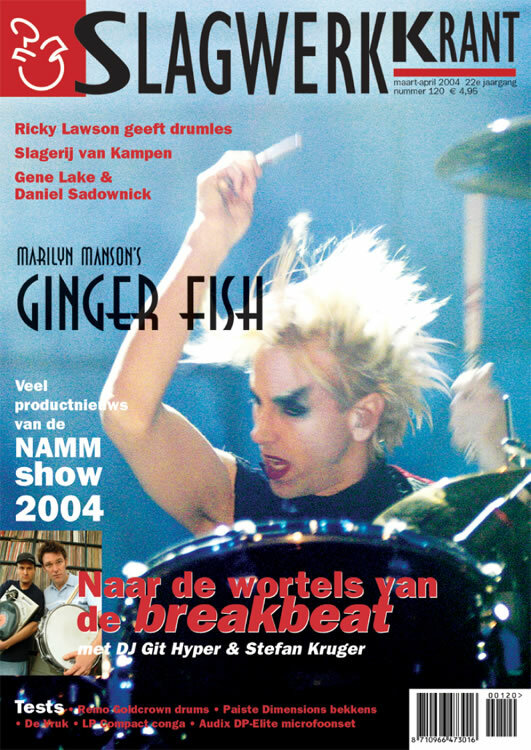 Within a few short years of starting to play the drums at the age of 16, Ricky's natural talent skyrocketed him into a major career. 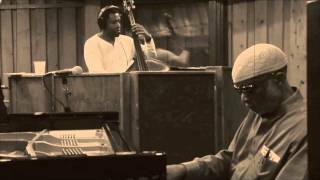 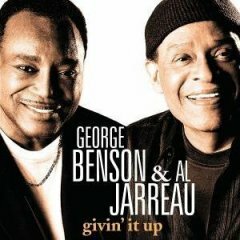 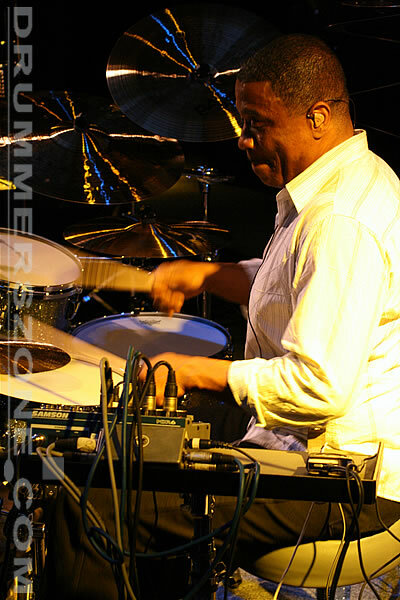 Since then he has played with names like Phil Collins, Michael Jackson, Whitney Houston, Stevie Wonder, Al Jarreau, George Benson, Bette Midler, Lionel Richie, George Duke, The Brothers Johnson, Quincy Jones and many more. 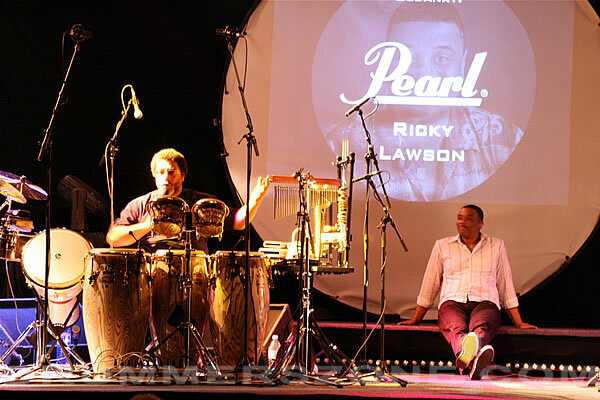 Early on, Ricky developed expertise in jazz, country and western, pop, R&B, funk and Latin rhythms - a versatility that allows him to play with anyone he wants to. 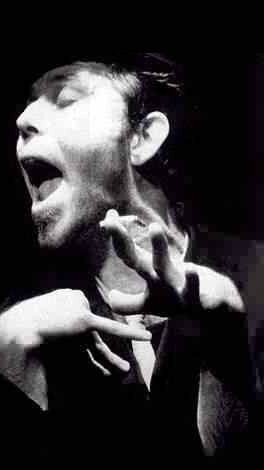 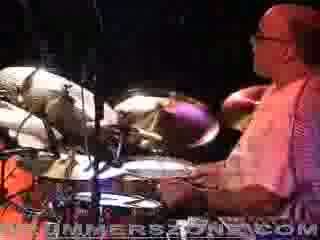 He has earned his jobs and professional reputation by always being well prepared for his gigs. 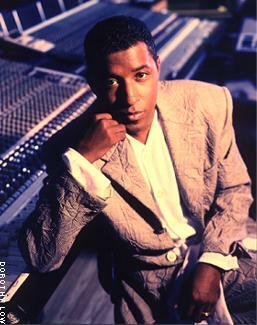 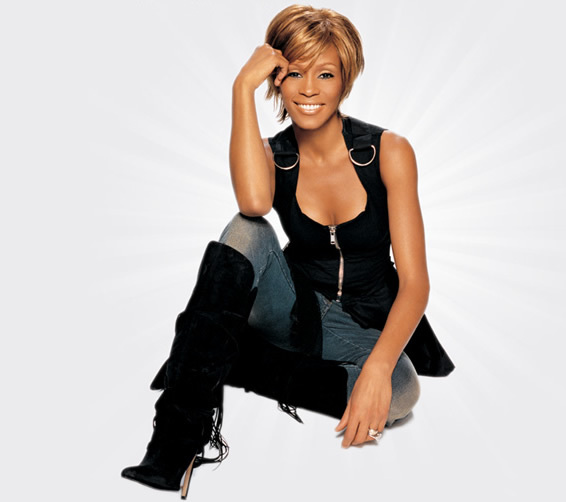 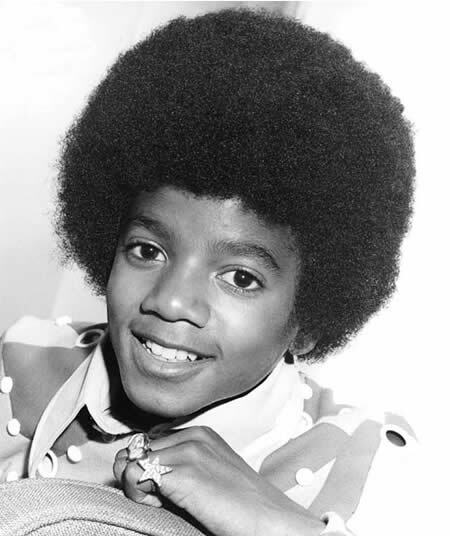 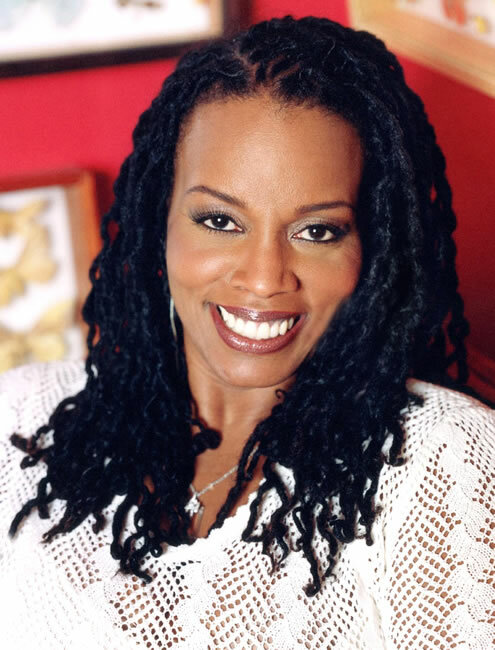 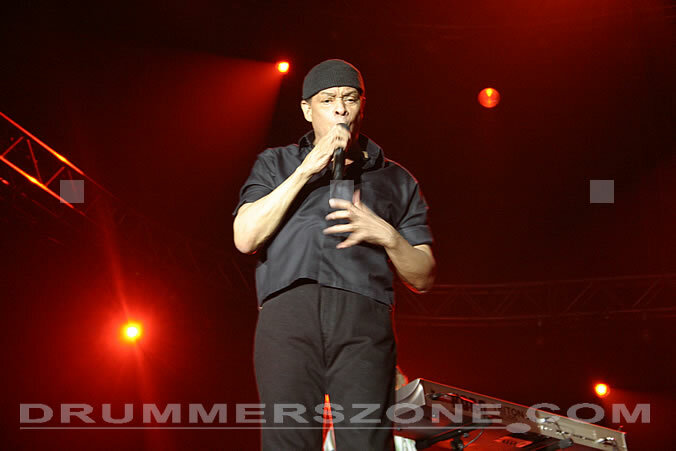 Some of the biggest Number 1 and multi-platinum singles and albums have featured Ricky's impressive talents, including Whitney Houston's "I Will Always Love You", Anita Baker's "Sweet Love", James Ingrams' "I Don't Have The Heart" and Lionel Richie's "Dancing On The Ceiling". 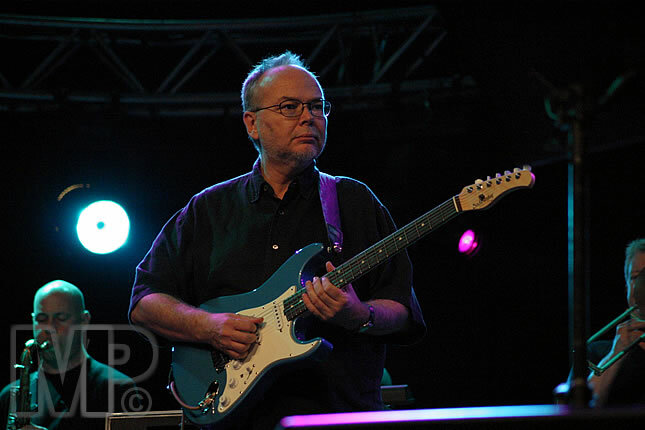 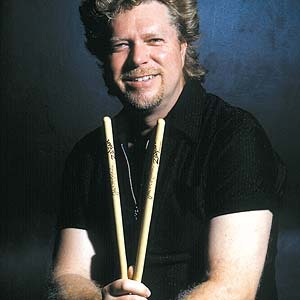 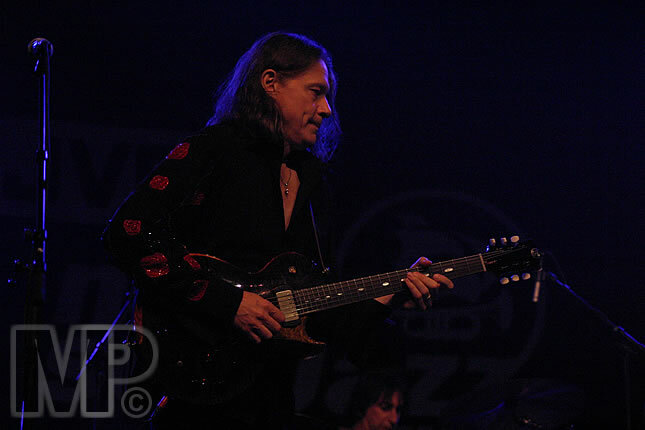 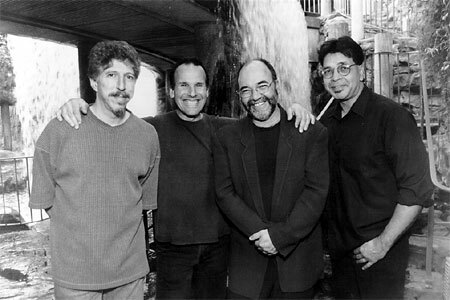 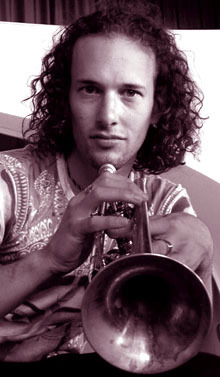 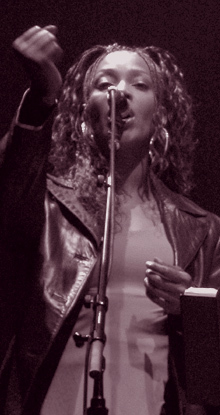 A co-founder of the group Yellowjackets, Ricky received a Grammy in 1986 for co-writing the hit song "And You Know That" on the album Shades, which he co-produced. 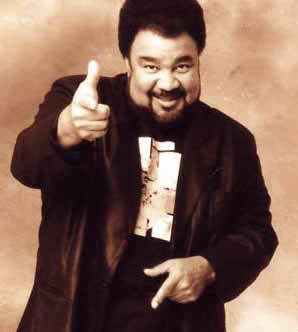 He also co-authored the Pointer Sisters' hit "Uh-Uh" and co-produced the album Seriously Slammin and the Fattburger hit "Good News". 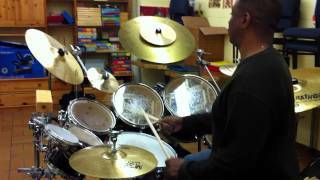 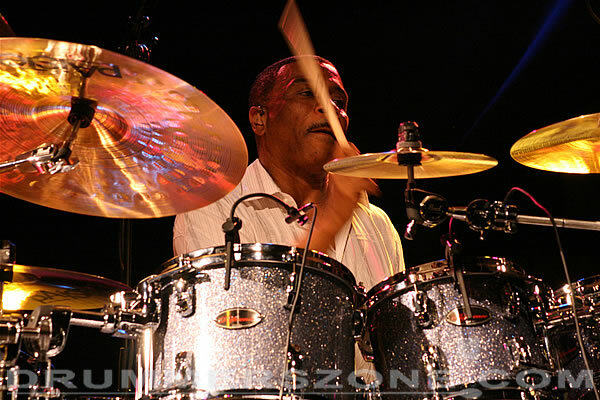 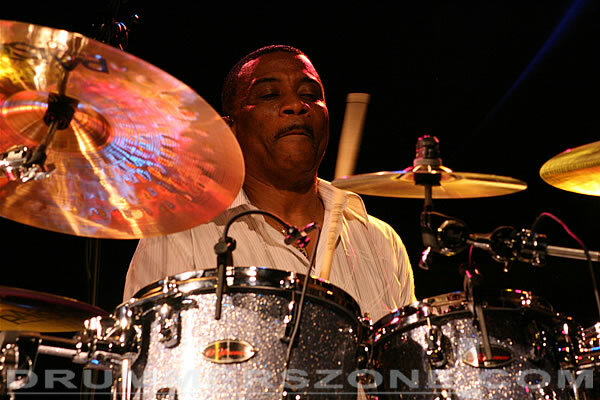 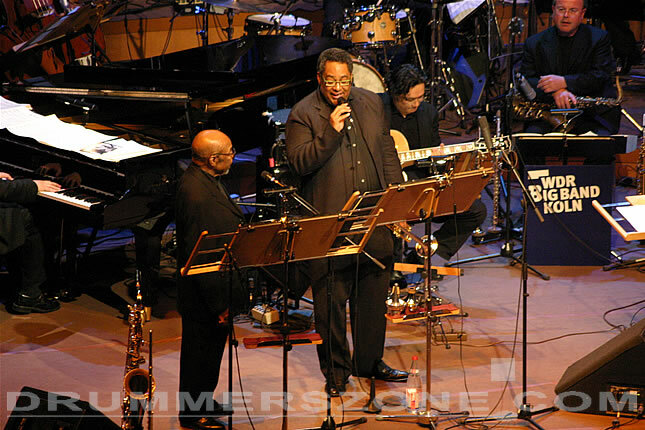 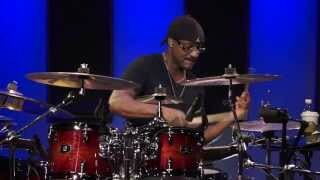 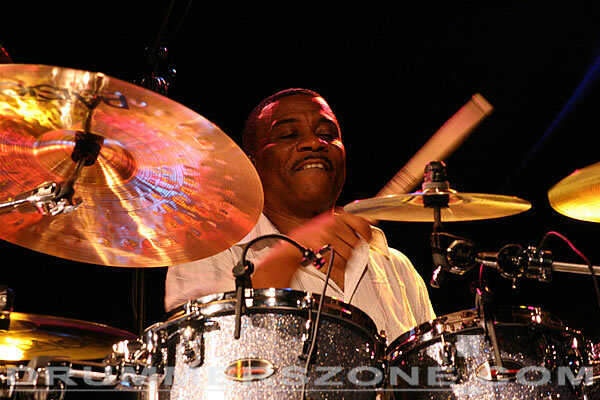 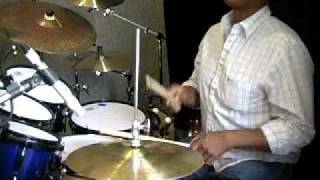 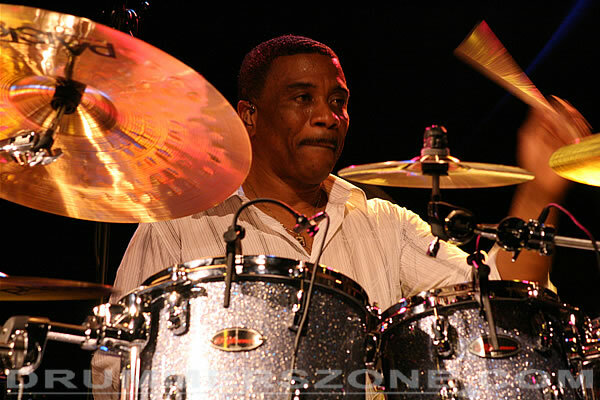 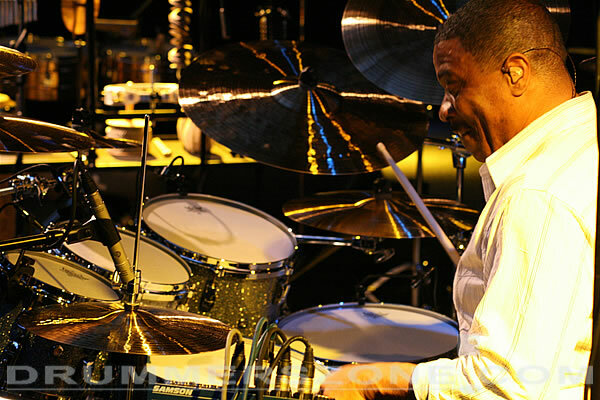 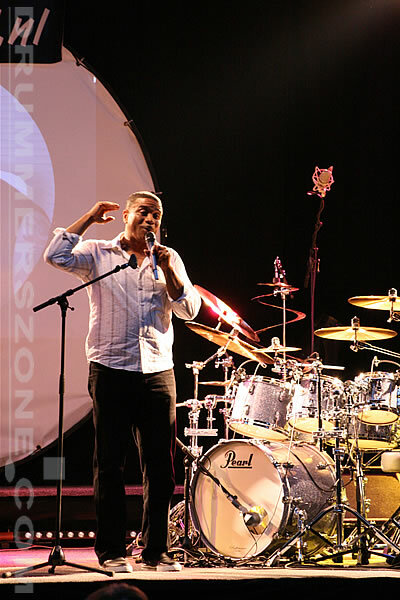 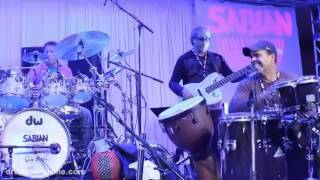 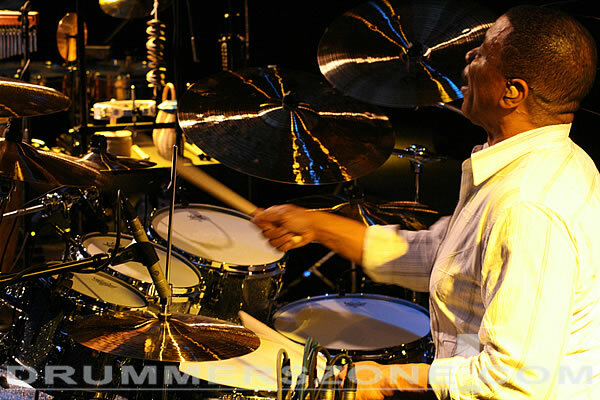 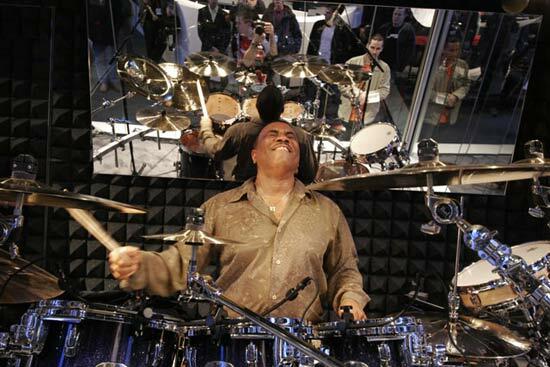 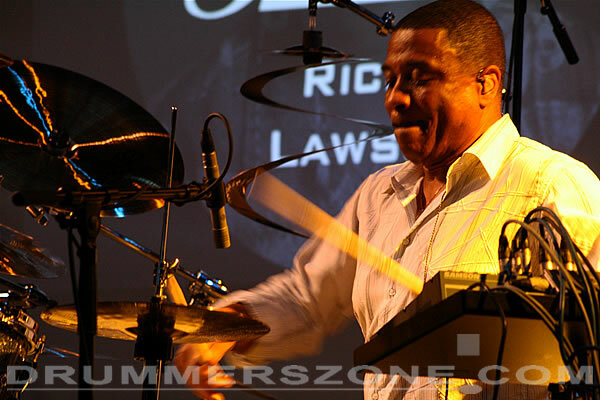 Grammy winning former member of the Yellowjackets Ricky Lawson, affectionately known throughout the music industry as the Drummer to the Stars, is the most well known and respected percussionist in the world. 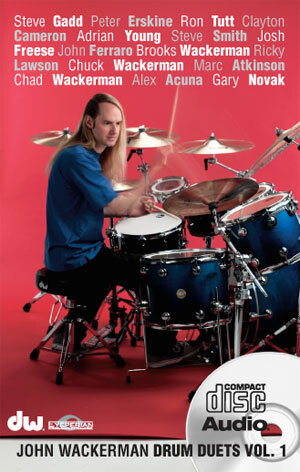 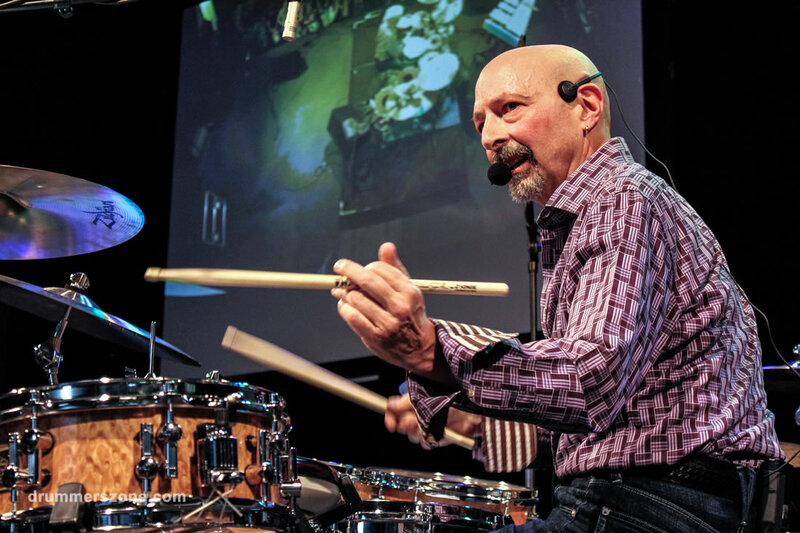 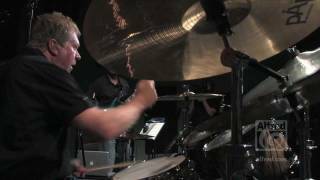 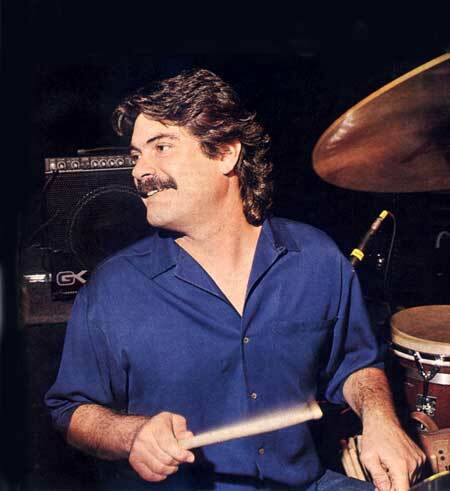 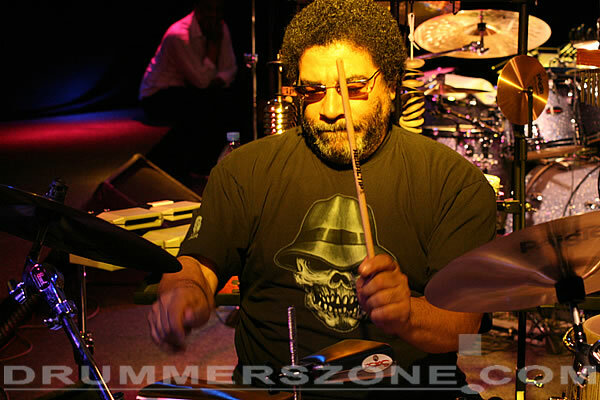 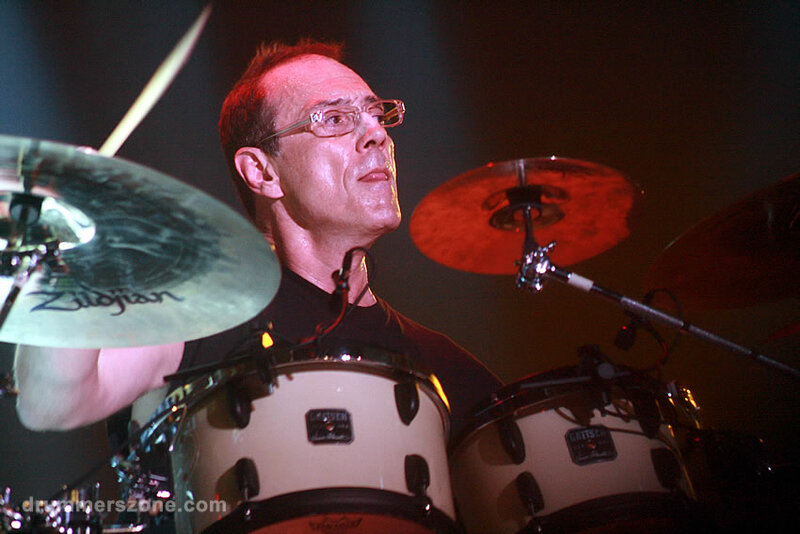 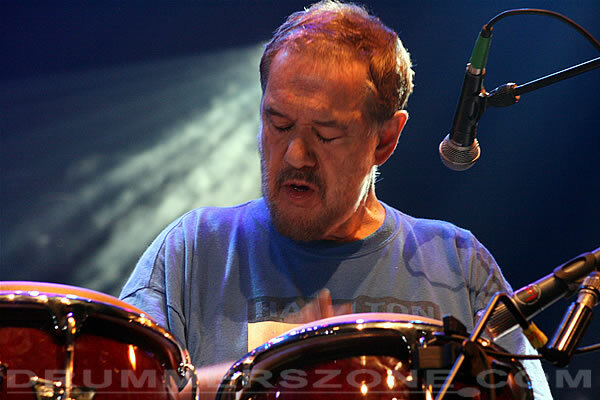 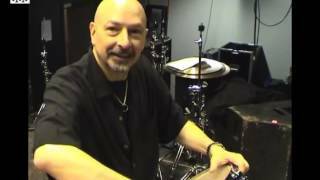 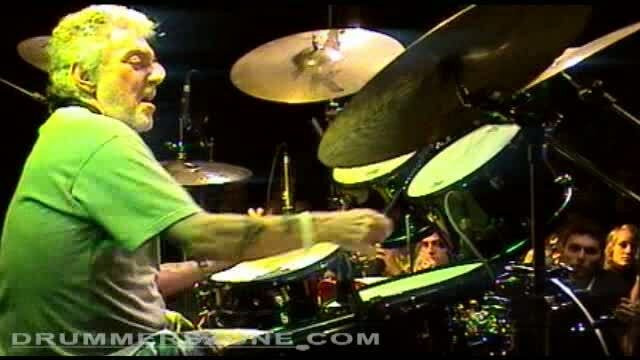 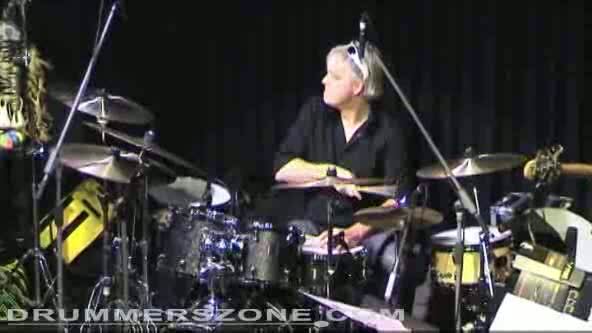 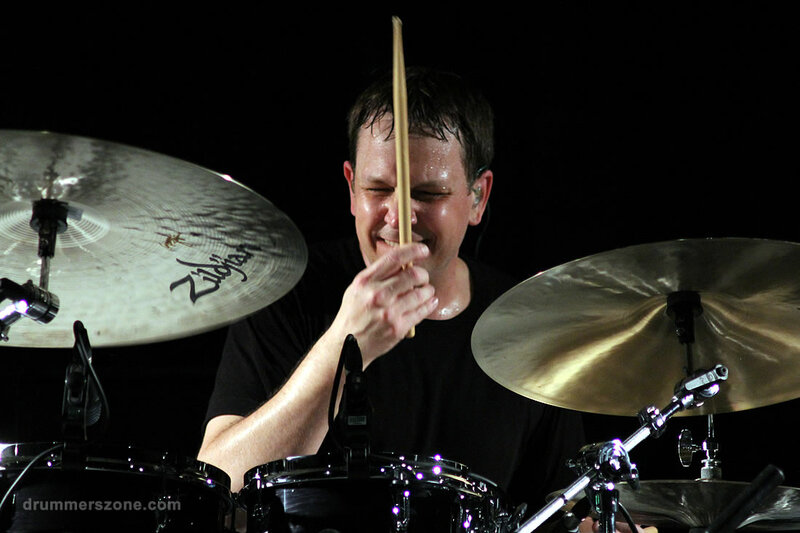 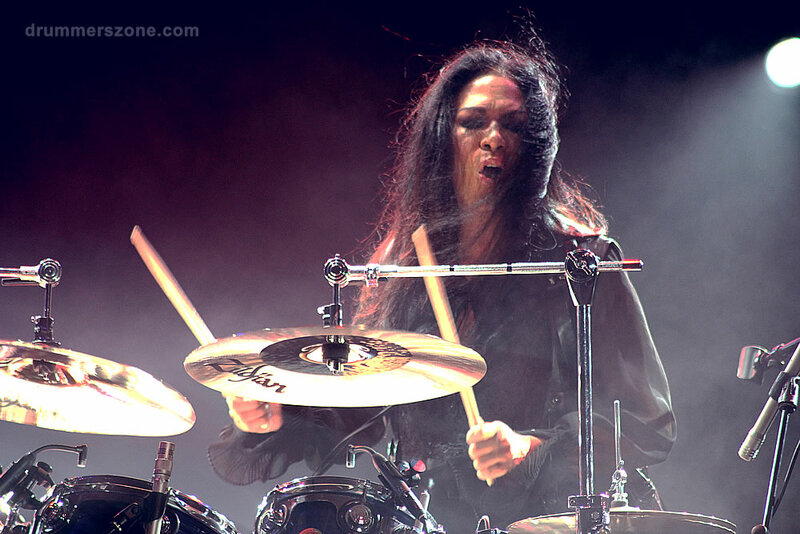 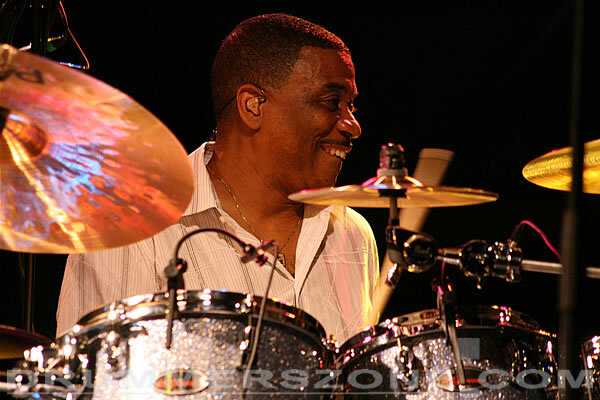 Just recently Ricky was the featured drummer on Steely Dans Grammy winning Best Album Two Against Nature, Lionel Richies latest release Renaissance, the soundtrack to the blockbuster film Brothers and the score for the epic Anna and The King starring Jodie Foster and Chow Yun-Fat. 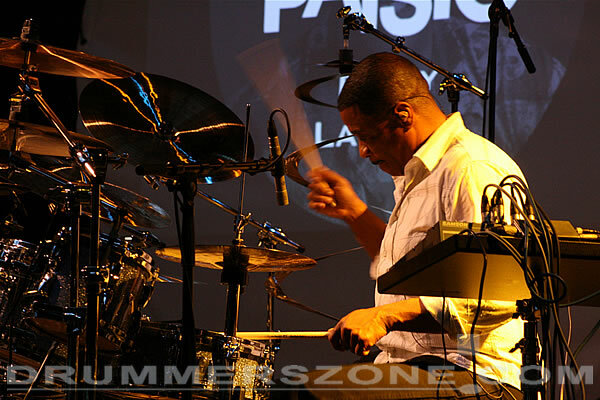 As the most sought-after and requested session musician of his time, Ricky Lawson has more than a decade of experience playing for superstars from all genres, like Michael Jackson, Whitney Houston, Eric Clapton, Lionel Richie, Babyface, Quincy Jones and a host of others. 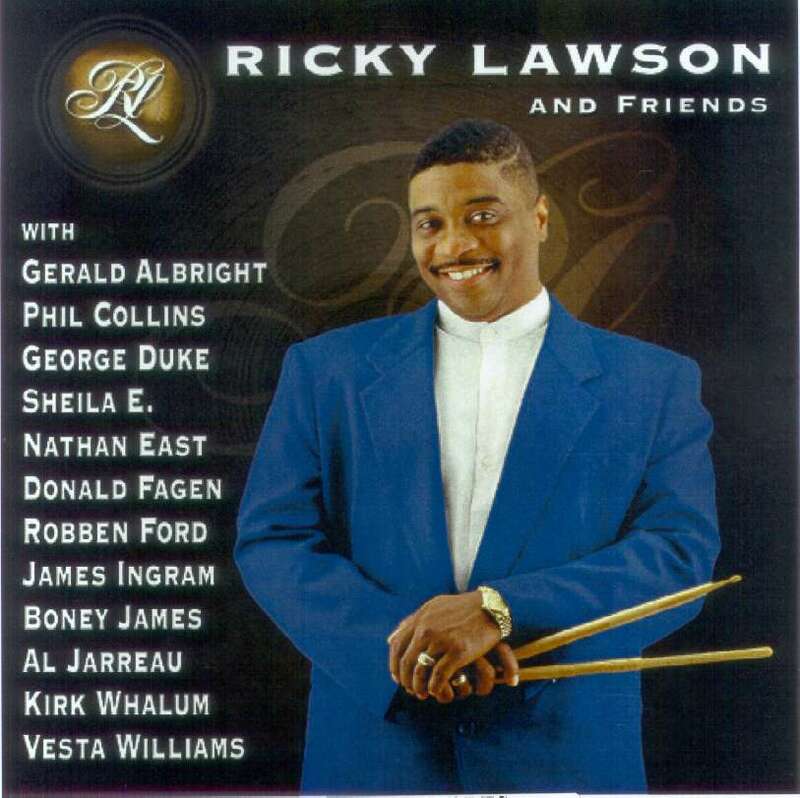 This album, appropriately titled Ricky Lawson and Friends, has moved this musical genius towards another bold step in his career by allowing him to write, arrange, produce and perform on every track of his first ever solo project. 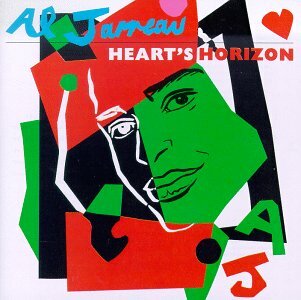 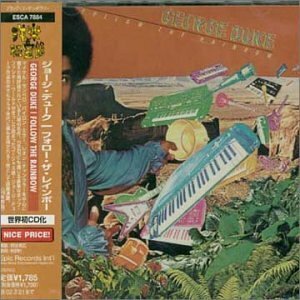 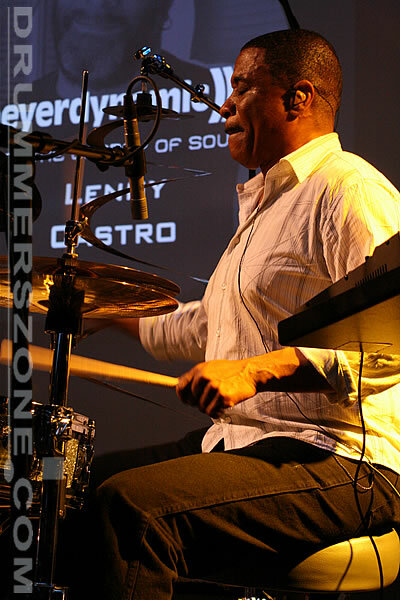 With a little help from some of his friends, including Gerald Albright, Phil Collins, George Duke, Sheila E., James Ingram, Boney James, Al Jarreau, Kirk Whalum and Vesta Williams, Ricky conjures up a unique and engaging blend of R&B, Pop and Jazz guaranteed to satisfy a wide range of musical appetites. 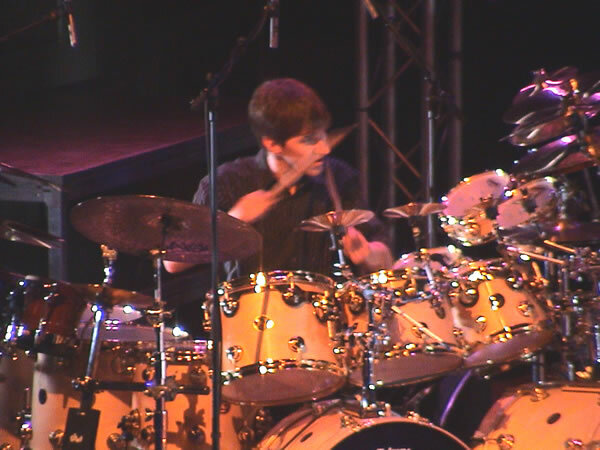 Within a few short years of starting to play the drums at the age of 16, Ricky's natural talent skyrocketed him into a major career. 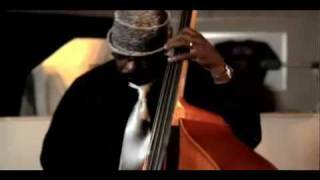 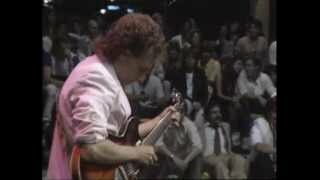 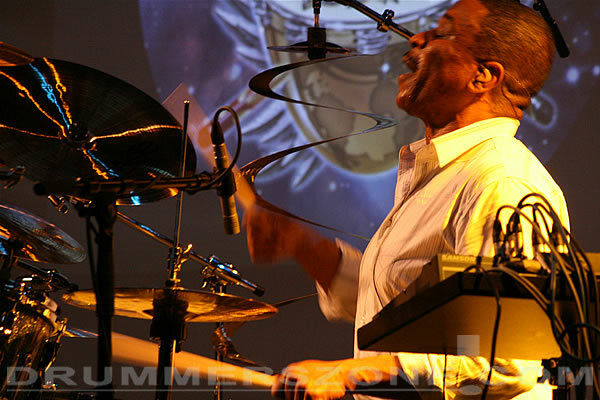 Since then he has played with names like Phil Collins, Michael Jackson, Whitney Houston, Stevie Wonder, Al Jarreau, George Benson, Bette Midler, Lionel Richie, George Duke, The Brothers Johnson, Quincy Jones and many more.? 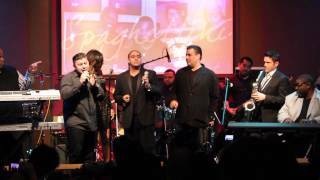 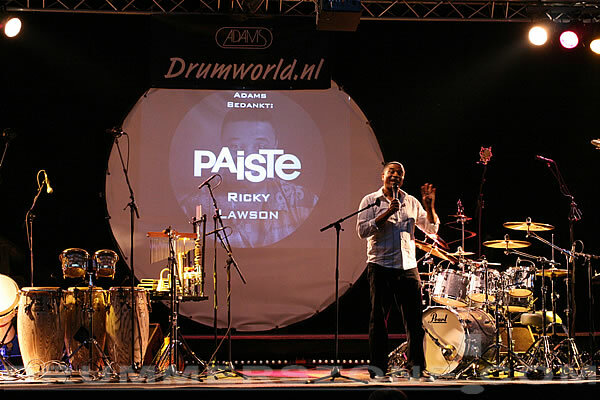 ?Early on, Ricky developed expertise in jazz, country and western, pop, R&B, funk and Latin rhythms - a versatility that allows him to play with anyone he wants to. 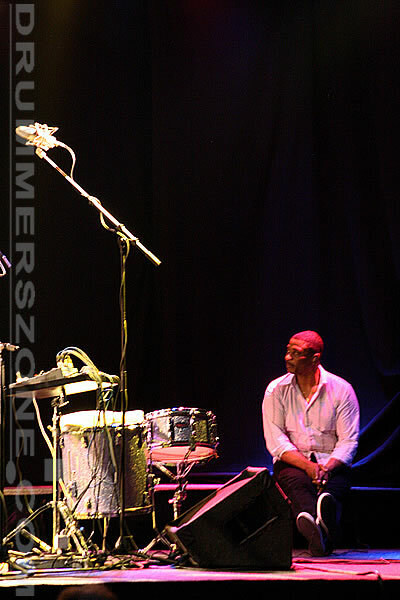 He has earned his jobs and professional reputation by always being well prepared for his gigs. 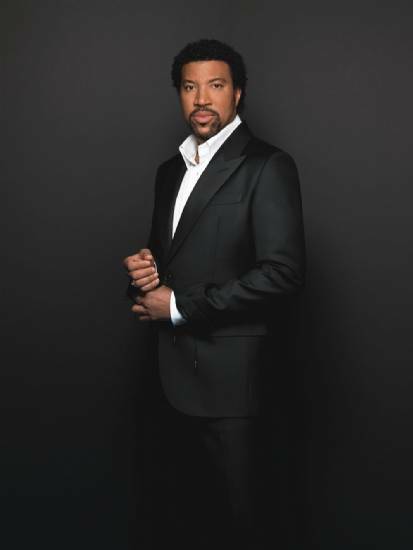 Some of the biggest Number 1 and multi-platinum singles and albums have featured Ricky's impressive talents, including Whitney Houston's "I Will Always Love You", Anita Baker's "Sweet Love", James Ingrams' "I Don't Have The Heart" and Lionel Richie's "Dancing On The Ceiling".? 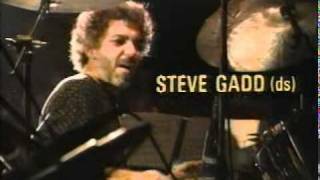 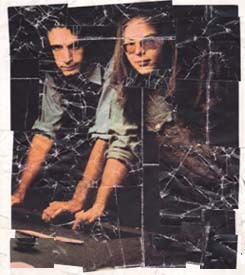 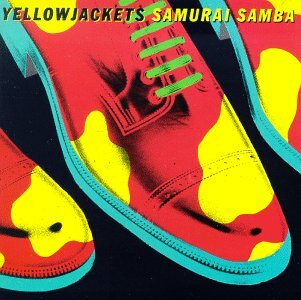 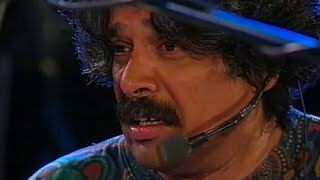 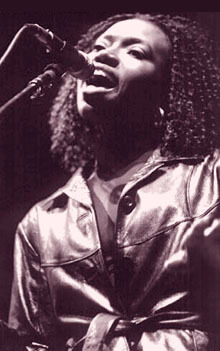 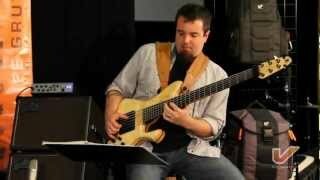 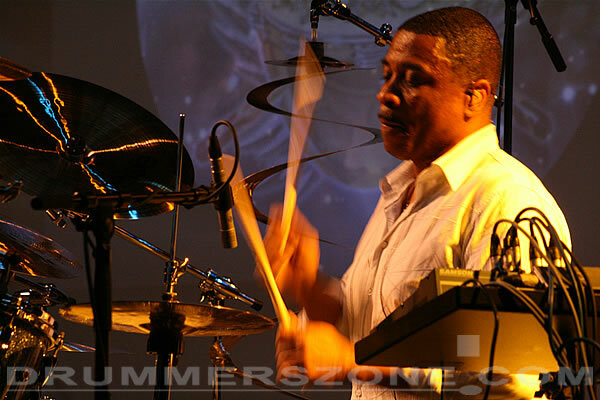 ?A co-founder of the group Yellowjackets, Ricky received a Grammy in 1986 for co-writing the hit song "And You Know That" on the album Shades, which he co-produced. 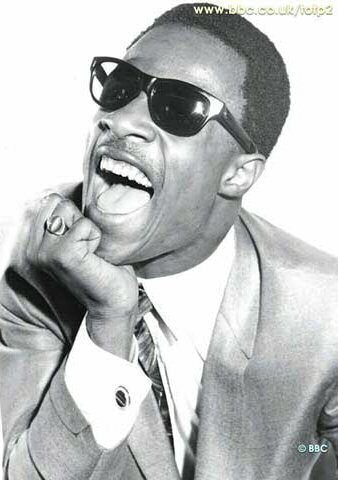 He also co-authored the Pointer Sisters' hit "Uh-Uh" and co-produced the album Seriously Slammin and the Fattburger hit "Good News".?? 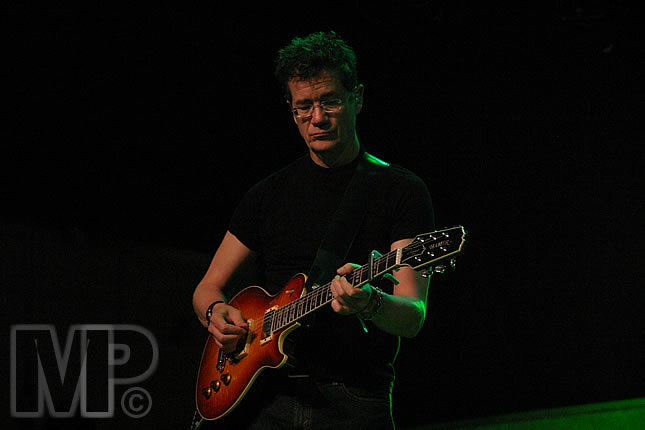 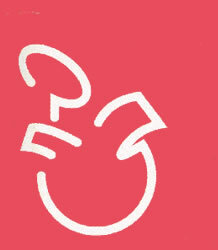 Source: http://clapton.onecom.com?? 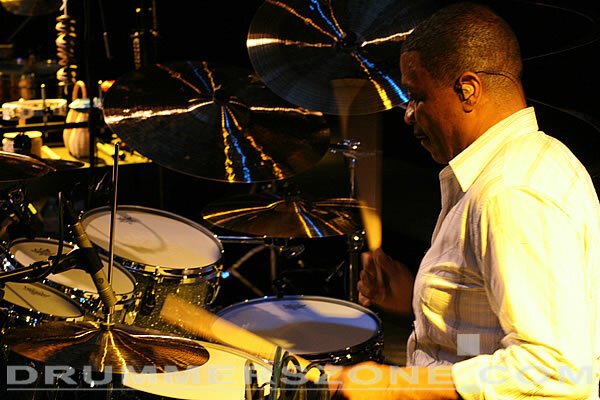 Grammy winning former member of the Yellowjackets Ricky Lawson, affectionately known throughout the music industry as the Drummer to the Stars, is the most well known and respected percussionist in the world. 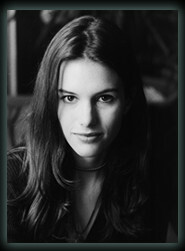 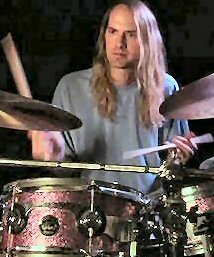 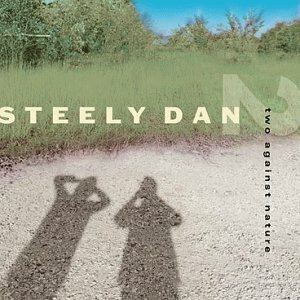 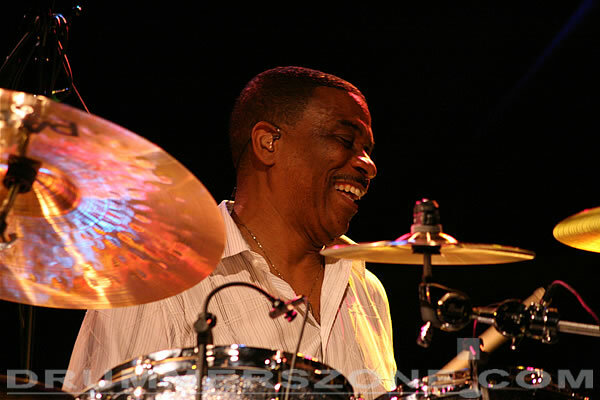 Just recently Ricky was the featured drummer on Steely Dans Grammy winning Best Album Two Against Nature, Lionel Richies latest release Renaissance, the soundtrack to the blockbuster film Brothers and the score for the epic Anna and The King starring Jodie Foster and Chow Yun-Fat.? 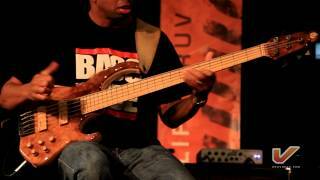 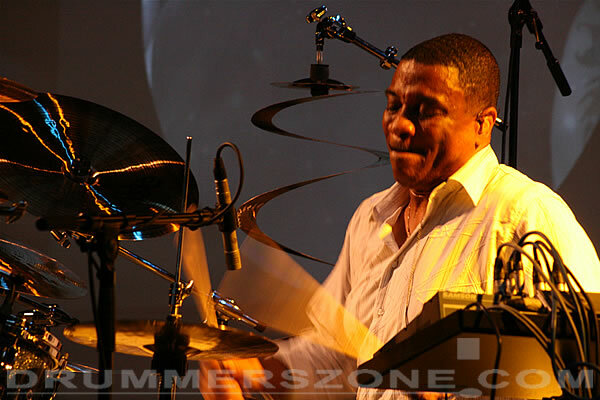 ?As the most sought-after and requested session musician of his time, Ricky Lawson has more than a decade of experience playing for superstars from all genres, like Michael Jackson, Whitney Houston, Eric Clapton, Lionel Richie, Babyface, Quincy Jones and a host of others. 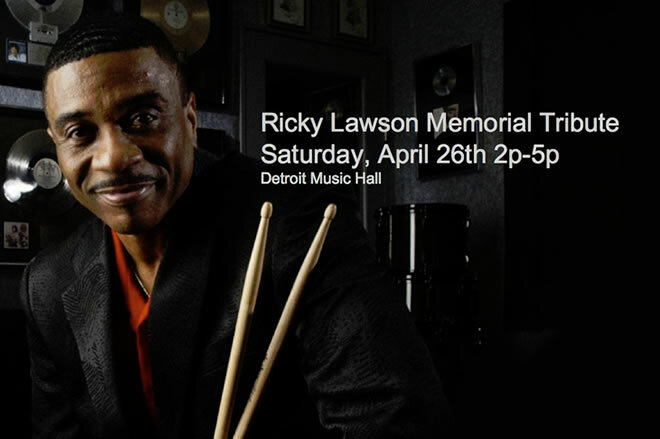 This album, appropriately titled Ricky Lawson and Friends, has moved this musical genius towards another bold step in his career by allowing him to write, arrange, produce and perform on every track of his first ever solo project. 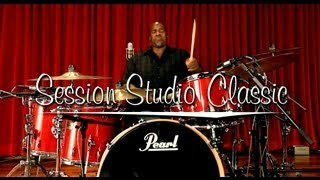 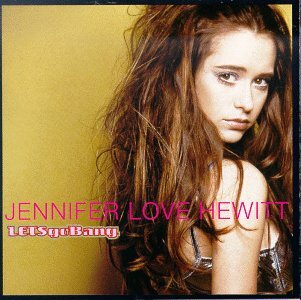 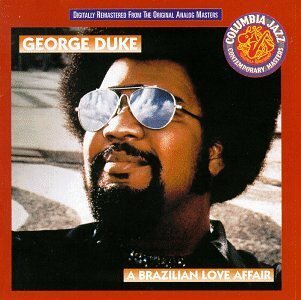 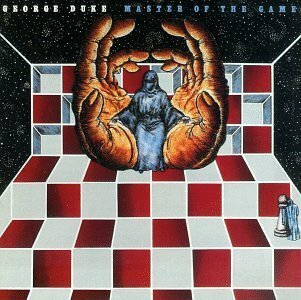 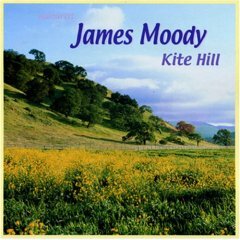 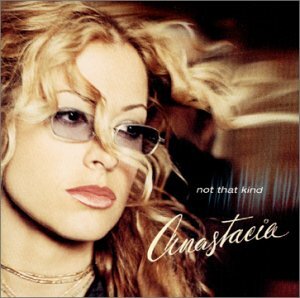 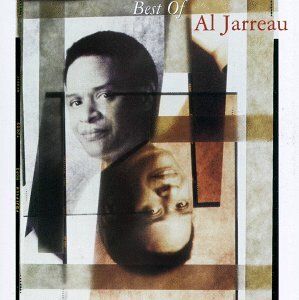 With a little help from some of his friends, including Gerald Albright, Phil Collins, George Duke, Sheila E., James Ingram, Boney James, Al Jarreau, Kirk Whalum and Vesta Williams, Ricky conjures up a unique and engaging blend of R&B, Pop and Jazz guaranteed to satisfy a wide range of musical appetites.? 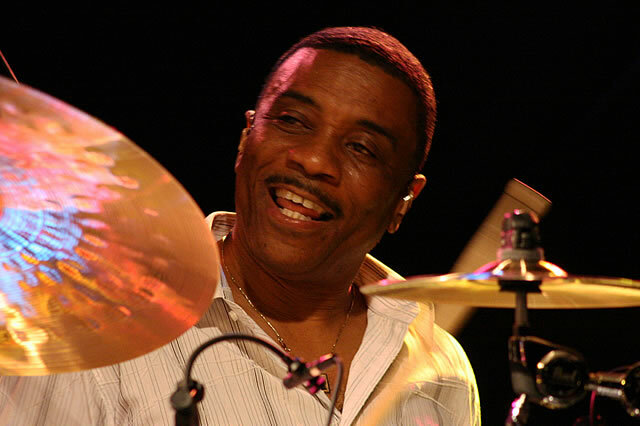 Ricky Lawson died December 23, 2013 at Long Beach Memorial Medical Center of a brain hemorrhage. 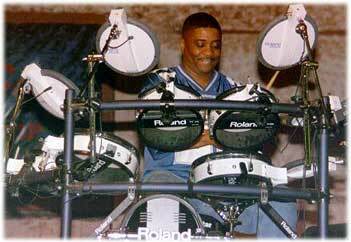 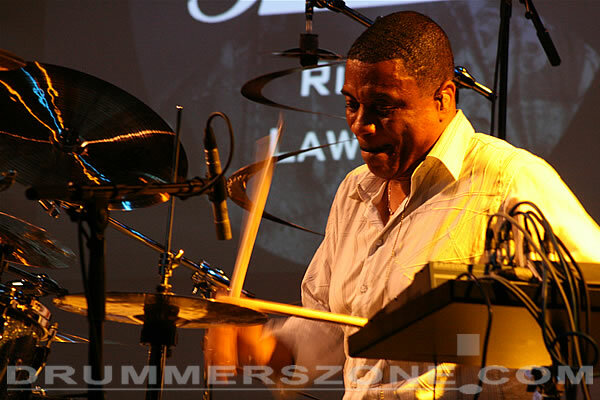 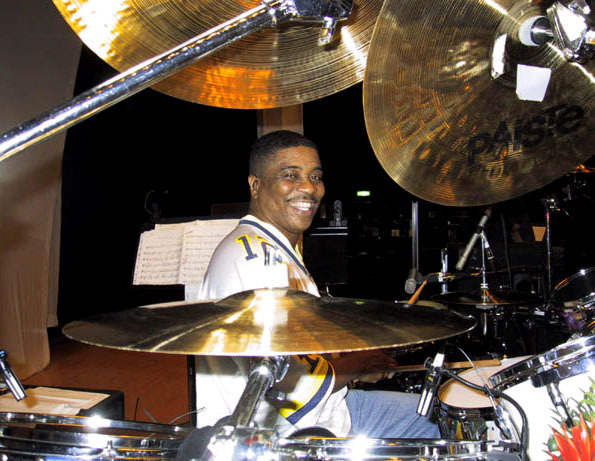 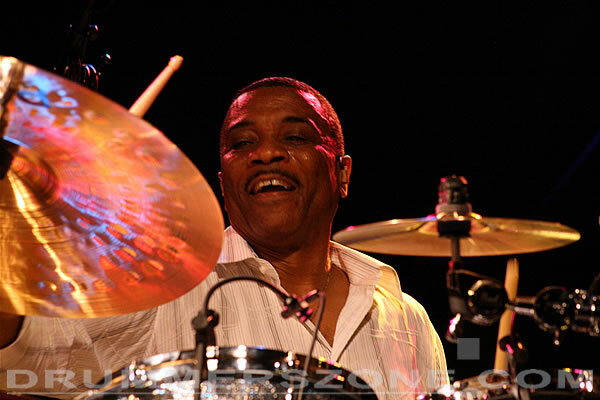 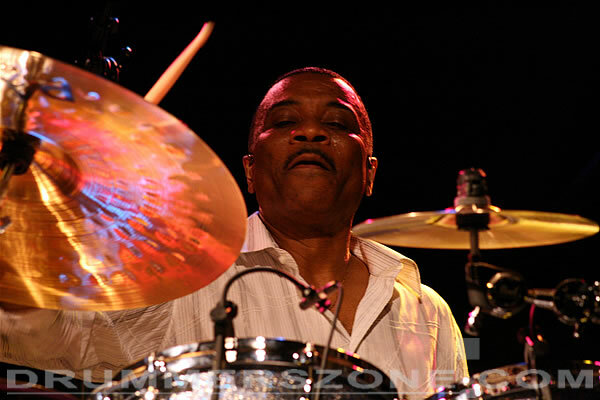 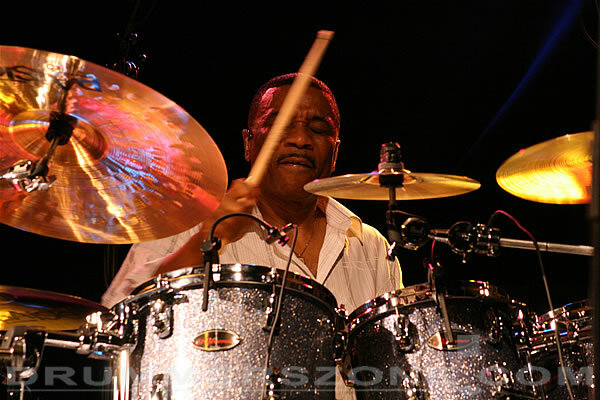 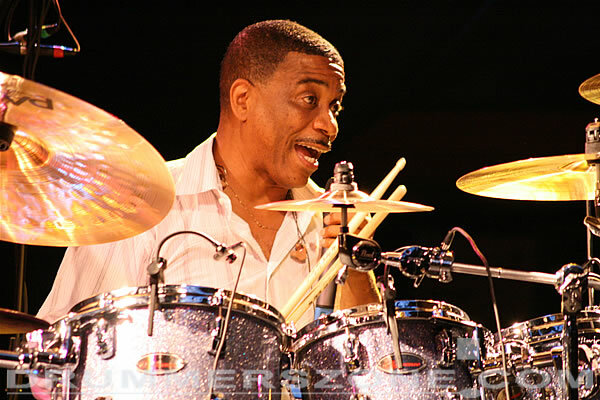 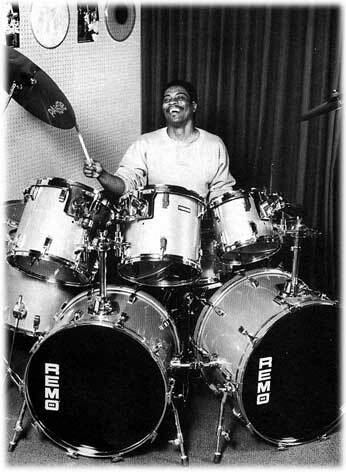 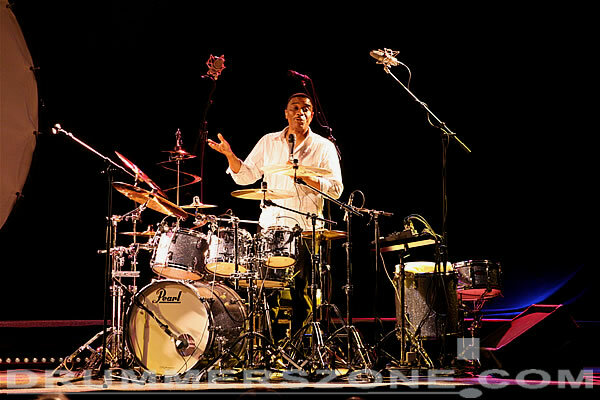 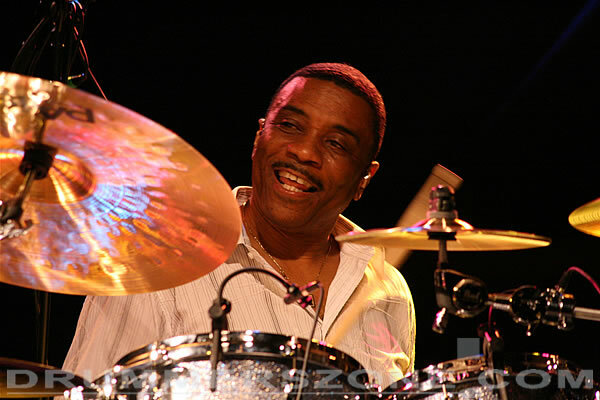 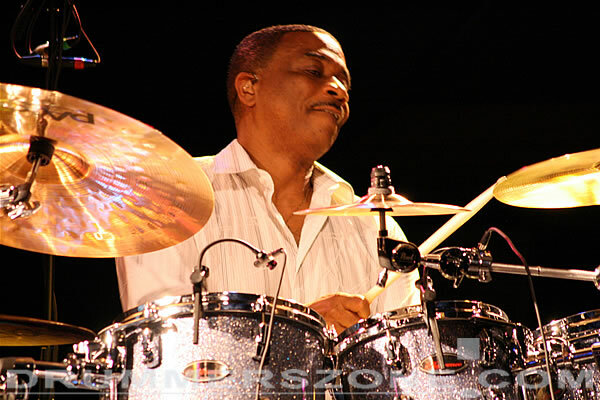 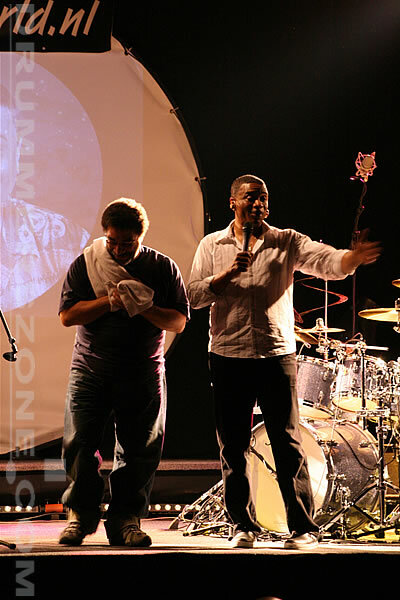 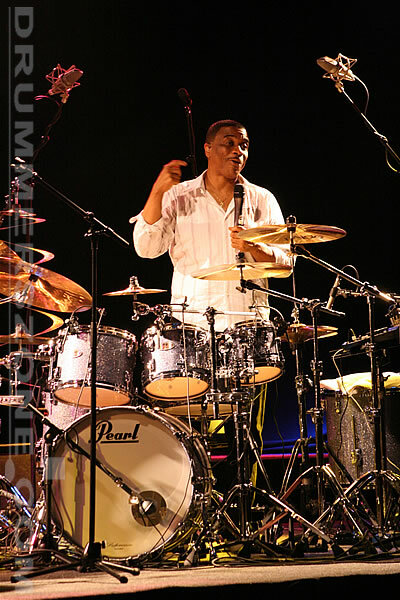 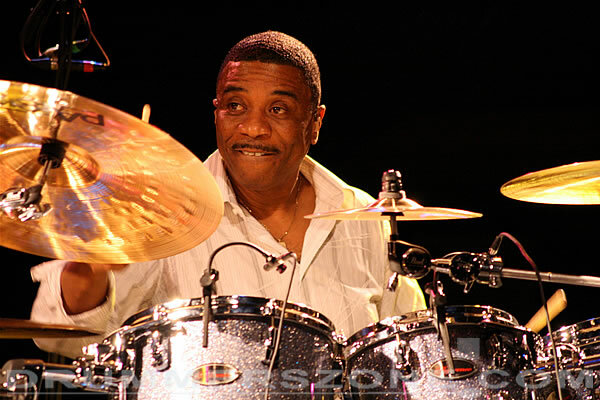 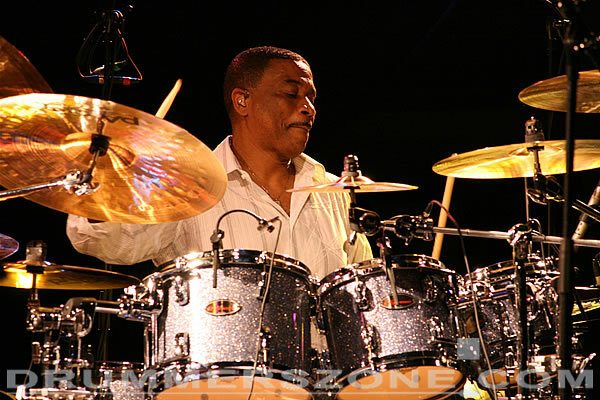 Grammy winning Ricky Lawson, affectionately known throughout the music industry as the �Drummer to the Stars�, is perhaps the most well known and respected percussionist in the world. 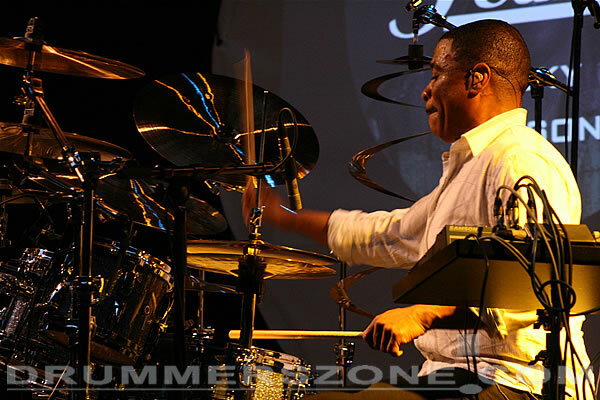 Within a few short years of starting to play the drums at the age of 16, Ricky Lawson's natural talent skyrocketed him into a major career. 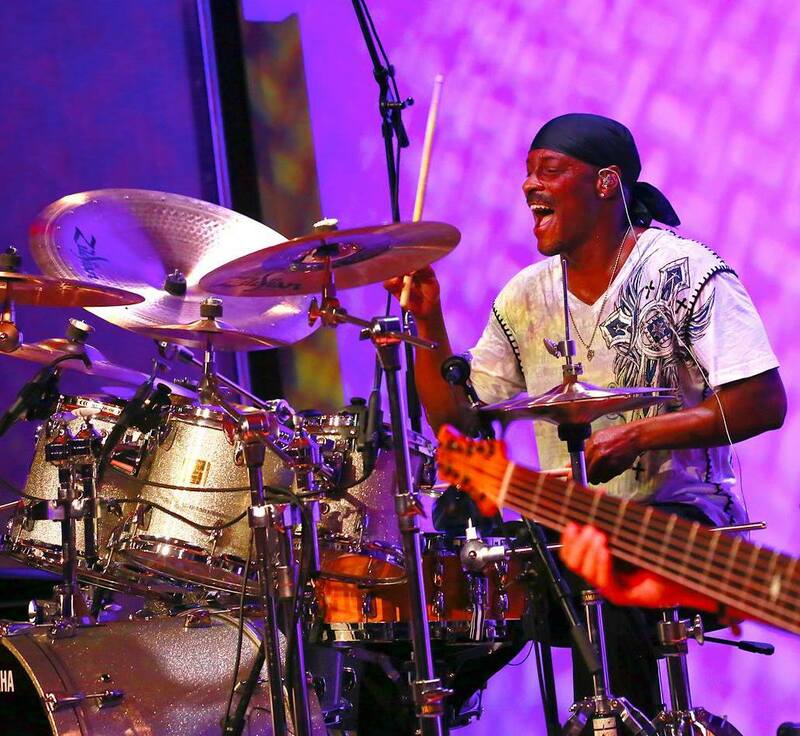 Since then he has played with names like Phil Collins, Michael Jackson, Whitney Houston, Stevie Wonder, Al Jarreau, George Benson, Bette Midler, Lionel Richie, George Duke, The Brothers Johnson, Quincy Jones and many more. 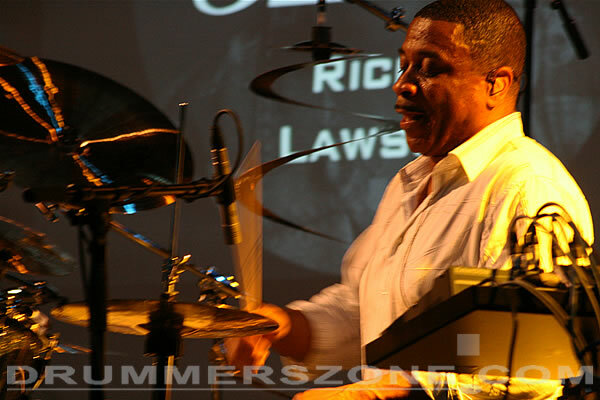 As the most sought-after and requested session musician of his time, Ricky Lawson has more than a decade of experience playing for superstars from all genres, like Michael Jackson, Whitney Houston, Eric Clapton, Lionel Richie, Babyface, Quincy Jones and a host of others. 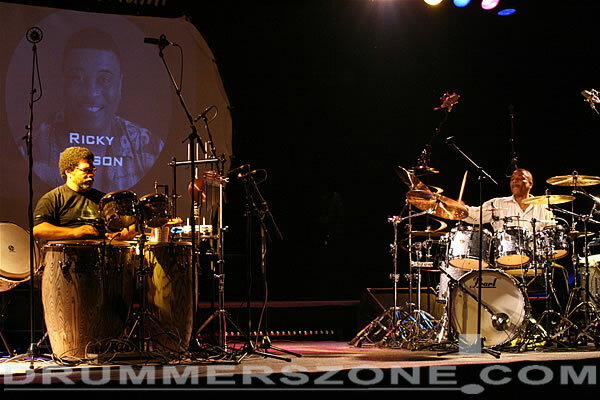 This album, appropriately titled �Ricky Lawson and Friends�, has moved this musical genius towards another bold step in his career by allowing him to write, arrange, produce and perform on every track of his first ever solo project. 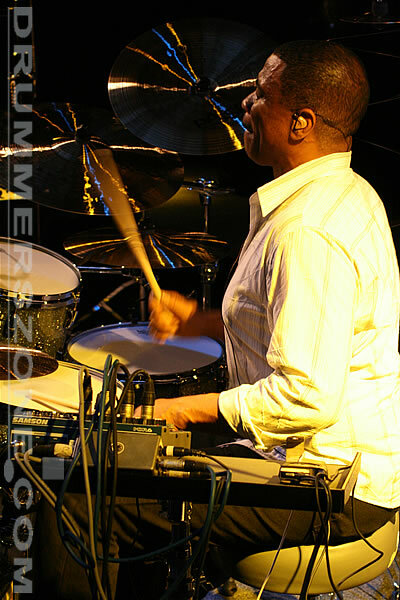 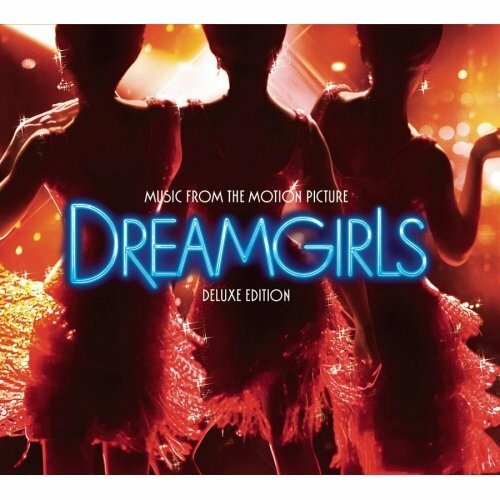 With a little help from some of his �friends�, including Gerald Albright, Phil Collins, George Duke, Sheila E., James Ingram, Boney James, Al Jarreau, Kirk Whalum and Vesta Williams, Ricky conjures up a unique and engaging blend of R&B, Pop and Jazz guaranteed to satisfy a wide range of musical appetites. 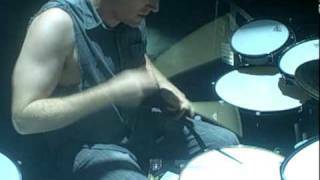 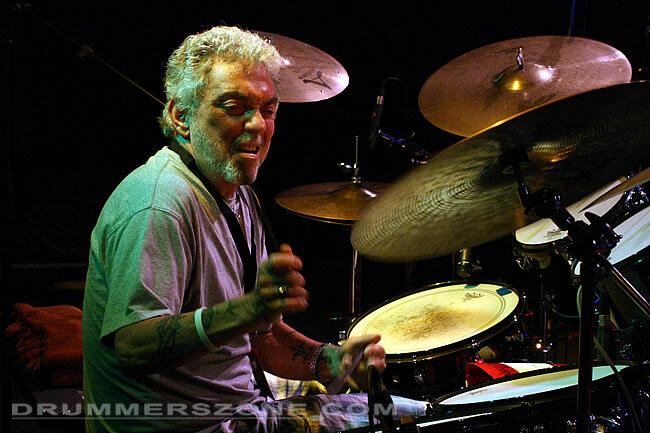 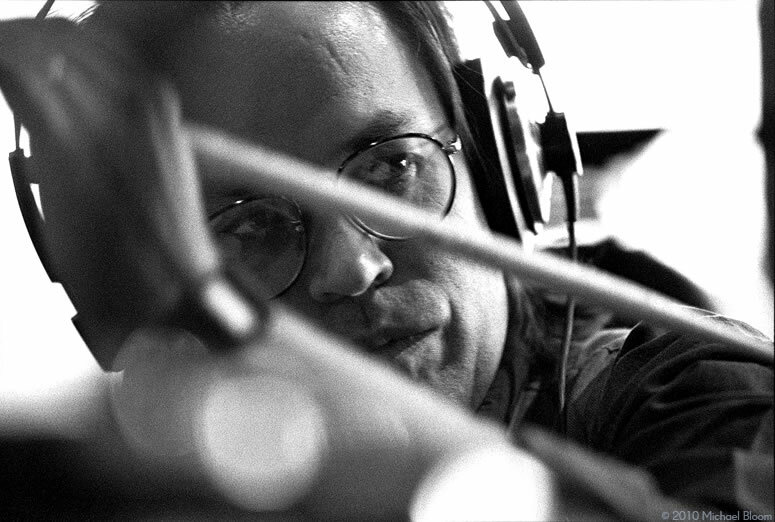 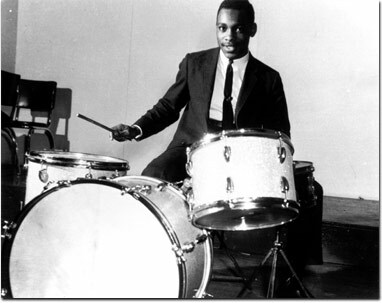 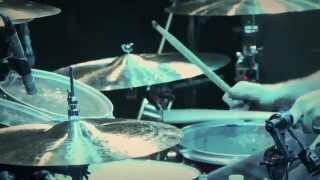 Remembering and honoring one of the greatest drummers of all time by spreading his passion for the craft he loved.